The city public transport company commissioned a feasibility study to research the possibility of introducing either a tram or a rapid-transit bus service on an existing major bus route. (A rapid transit bus service has high capacity buses, fewer bus-stops and no on-board ticket sales). The tram proposals were initially dropped, but two solutions for rapid-transit bus services were examined in detail. 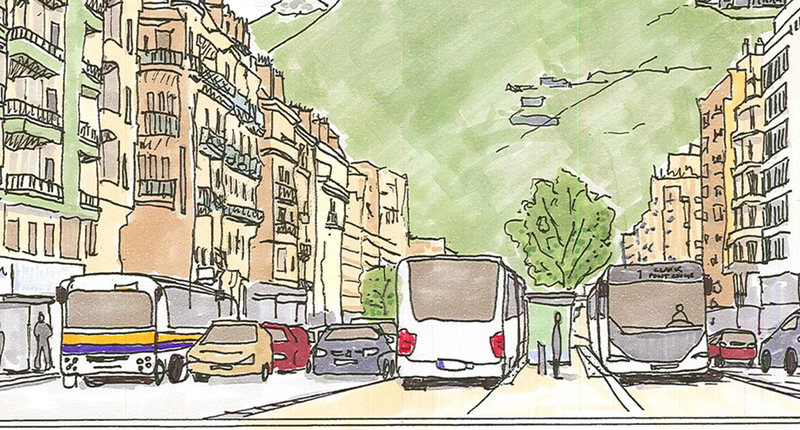 The first proposed that a central platform be used with buses driving against the traffic flow. 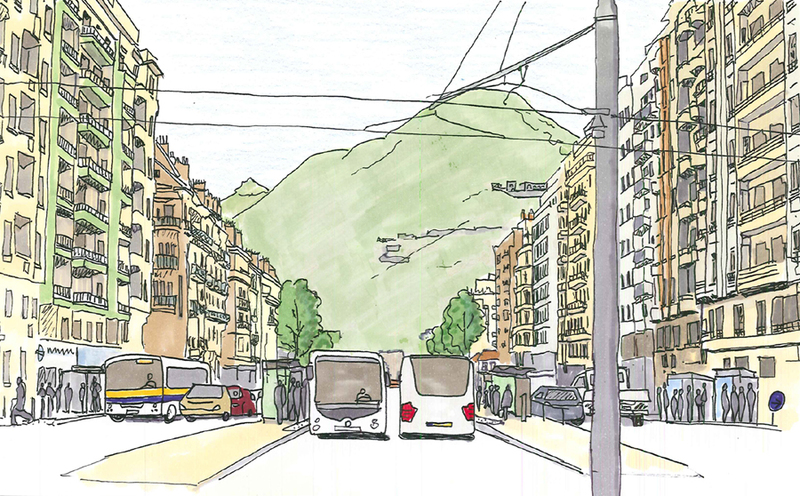 The second proposed that a central bus lane be created similar to a tram system. The impact on parking, street trees and traffic circulation was examined. Responsible for : Design, plans, sections, photo-montages, perspective sketches. Looking at creating a bus lane running in the opposite direction to the traffic to share a central platform. CAD section and plan looking at the feasibility of the road layout and a photo-montage of what a tram line might look like. Finally it was decided that a tramline would be the better option and it opened in 2014.